Motorcycle crash helmets have to cater for a wide range of head sizes and shapes. Which, of course, is a major problem for crash helmet manufacturers as they want their helmets to fit as many people as possible. So how, when crash helmets have pretty solid shells, do they make helmets that’ll fit a range of people and don’t look disproportionately massive or tiny when we’re wearing them? Crash helmet manufacturers have to combat two problems. Firstly, their overriding goal is to ensure their helmets remain safe. 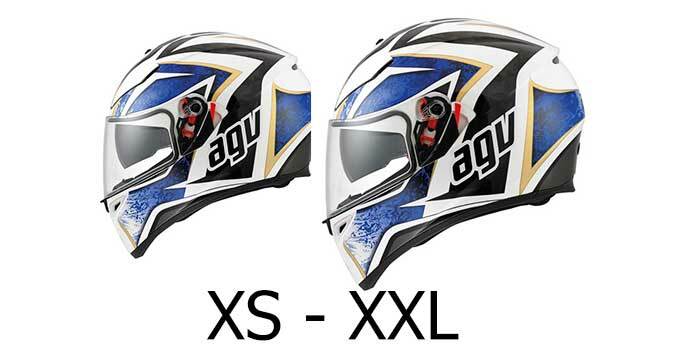 If a person with an XXS tries on the same helmet that fits a guy with an XXL head, they’re going to rattle around in it in an accident – not good. So, the manufacturers need to take steps to prevent this. Secondly, that same guy with an XXS head is going to look pretty odd wearing a giant XXL crash helmet. Tiny head and massive helmet = looking like a lollipop. So, to get over this problem they produce the same crash helmet but in a range of shell sizes. They may produce one shell size for all the small fitments, another for all medium and a third larger shell moulding for all size L crash helmets. Typically, non-premium manufacturers will try and get away with fewer shell sizes (to reduce tooling and manufacturing costs) than premium brands (the Arais and Shoeis of the world) but that’s not always the case as there are some great fitting helmets right across the price spectrum. 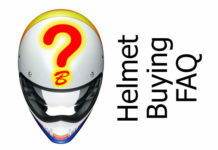 These days, the top manufacturers will produce a helmet using four or even five different helmet shell sizes. What the makers do once they have a number of different shell sizes, is use greater or smaller amounts of padding to produce the different sizes of fitment. So, for example, if they produce a helmet in two shell sizes – say a small and a large shell, then to make a helmet that’ll fit an XL head, they’ll use the larger shell but fit less padding to accommodate the larger XL head. To make it fit a size L head, they’ll use slightly more padding, and so on. 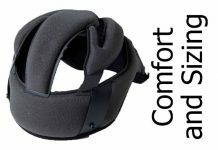 And as long as they have enough padding for each size (and padding is a pretty exacting science these days as they use multi-density foams to add as much shock-absorption and protection as possible) then the crash helmet is going to do its job. However, if you do buy a helmet that’s produced in only one shell size, then it’s possible that the further you get away from the ‘natural’ size (so if the shell size is M then the natural fit will be for a M fitting, not an XXL) then it’s possible that safety might be compromised. In this example, to make it fit an XXL head, they’ll remove padding which will arguably reduce impact protection. However, we have to say, we’ve not come across any research that substantiates this (yet) – it’s more a common sense assumption. So there you go. If the information’s available, we’ll include the number of shell sizes produced with each review we do. If you see someone with a crash helmet that looks a little too large or small for their body, the chances are they’re wearing a crash helmet that comes in only one or two shell sizes. But do a bit of homework to make sure the crash helmets you’re after are cast in a number of shell sizes (hopefully by reading our reviews! 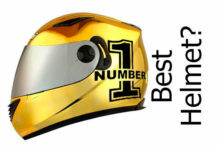 ), and you should get a helmet that looks right, fits right, and gives you maximum protection in a crash. Could you tell me if the ZHC Electrocar helmet is legal to use on a motorbike in UK please? Sorry Reg, don’t actually know but I’d very much doubt it. There’s no distribution for that helmet as far as I can tell so I doubt they’ve gone to the cost/trouble of ECE certifying it. Personally I wouldn’t risk it – even though you’re probably very unlikely to get pulled over for a helmet check, I guess it could impact on insurance/medical cover if they found you weren’t wearing an ECE approved (i.e. legal) lid.